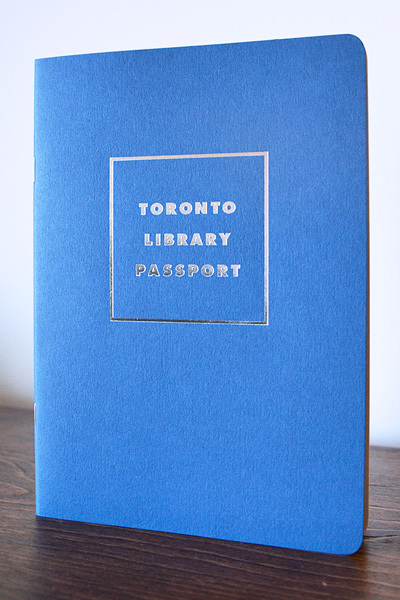 Whether you’ve already started on your quest to visit all the branches or you’re a library novice, the Toronto Library Passport is the perfect way to experience all that the Toronto public libraries have to offer. 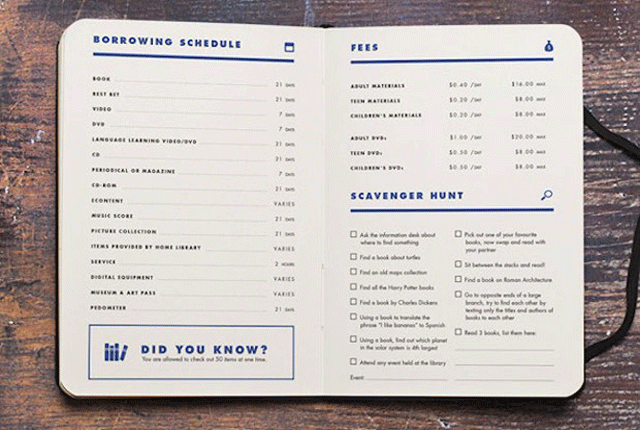 Each passport includes a notes section for all 100 branches (check off the branches as you go), a map and a scavenger hunt! 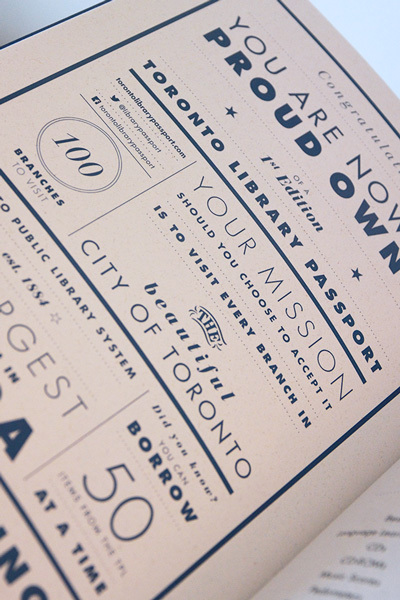 Designed by the Toronto-based graphic designer and web developer Noah Ortmann, the 36-page Toronto Library Passport booklet gets readers to use library resources to have fun, complete small challenges, and also learn more about one of life’s greatest free places to visit. 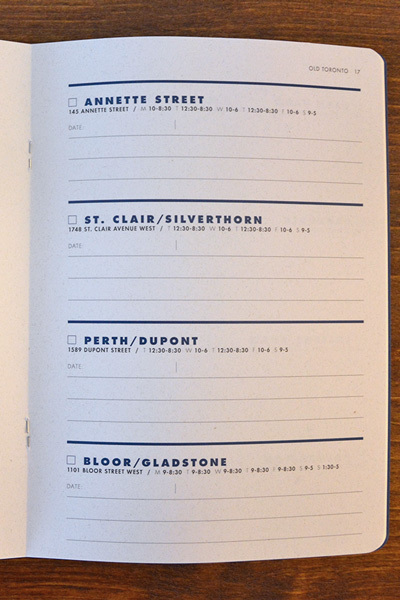 The passport is sold out for now, but more copies are being printed. I got mine, and this will be a fine, fine thing to do this year. Next articleDavid Bowie on the cover of this week’s TIME.